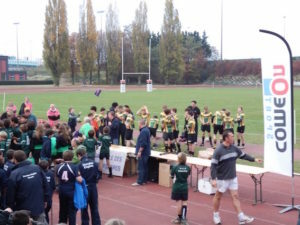 Sport Events in France and competitions : how we can help your team for the travelling arrangements? For more than 15 years, we have offered logistics services for the widest range of sports. We offer specialised services in sports logistics when you need it. You need a reliable service, so we do. Your team is invited in partipating to a tournament or a competition but you don’t know how to get there easily? 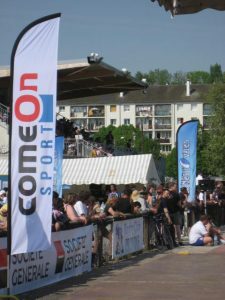 ComeOn Sport can help your team for your travel arrangements during competitions and sporting events in France. How can a team be in optimum conditions and form on the D-day? ComeOn Sport help you in setting up the travel arrangements and make sure that nothing should disturb the concentration. Thanks to our experience and expertise, ComeOn Sport is dedicated to delivering professional travelling arrangements and logistics to teams, clubs and sports groups during competitions and sporting events. We can provide professional group travel planning and travel services, we can coordinate and help your team in preparing your trip. We pride ourselves on delivering a high quality of sports travel packages that allow your team to enjoy special moments that will last a lifetime. ComeOn Sport is a sport event agency that is specialized in sports groups. That’s why so many teams get in touch with us in order to propose them a professionnel service. If you sigh to participate to a sport festival, a competition, a sporting event or a tournament in France, ComeOn Sport help your team or your group with all the arrangements and help you in choosing the best travel aspects! You are protected when you use our services. We provide you with a professional and customized service as a sports tours company. We are happy to handle your tour and propose you the best options & arrangements as well as a local assistance so that your team in in good hands. Drop us an email, ask us questions and details about what we can do for your team over here. You tell us when and where, give us your budget and any special requests, and we take care of the rest for you! A sport tour or a sporting event with ComeOn Sport, it’s Easy, Direct and Efficient : providing the Highest Quality !